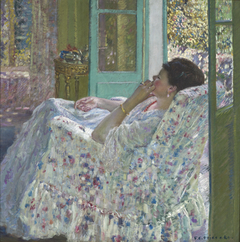 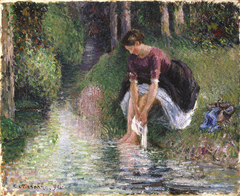 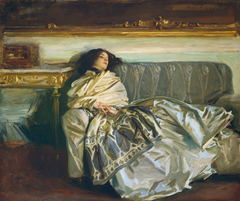 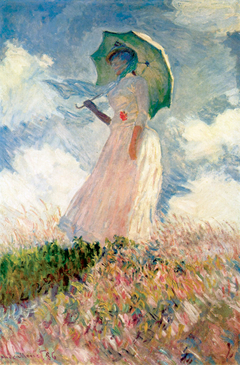 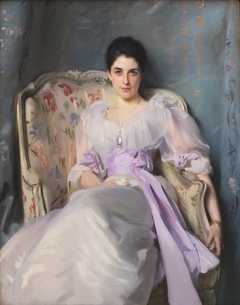 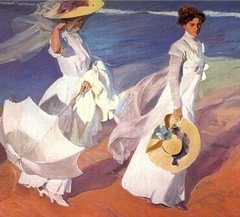 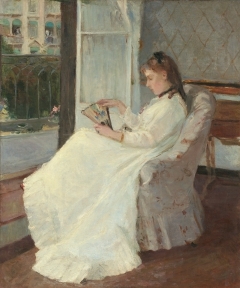 The figure’s dress provides a blank canvas for Benson’s brushstrokes in dazzling white, pink, and violet, accented by the blue and violet shadows typical of Impressionism. 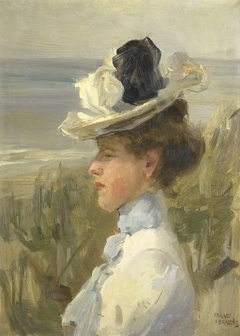 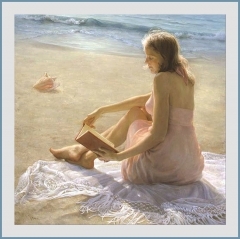 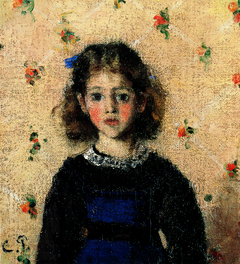 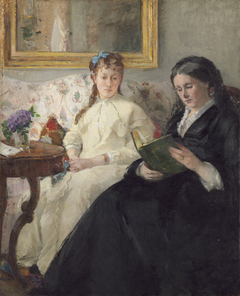 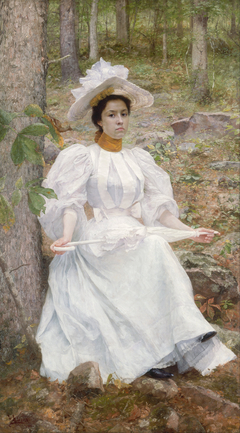 The model is the artist’s daughter Eleanor, who often joined her mother and sisters in posing for Benson’s outdoor works around Wooster Farm, their summer retreat in Maine. 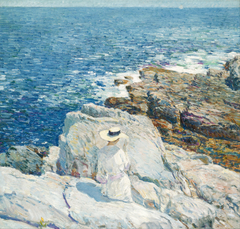 Benson was a key figure in Boston’s art scene, both as a highly successful artist and director of the Museum of Fine Art’s school. 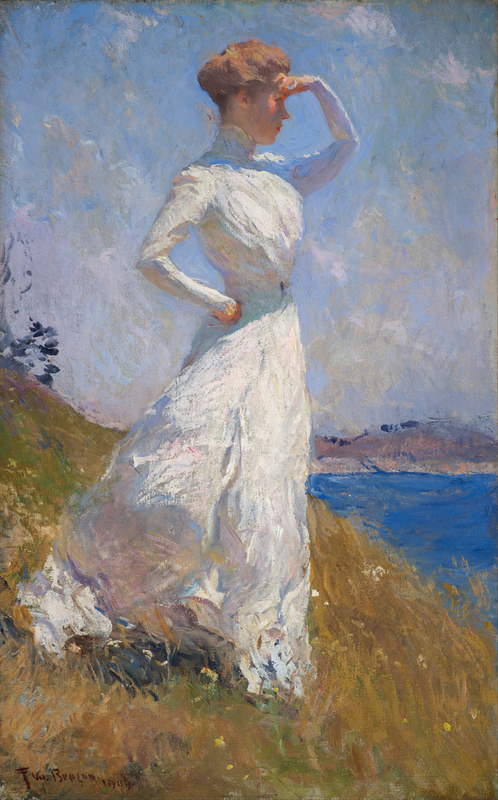 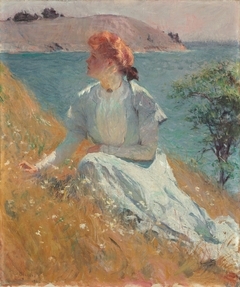 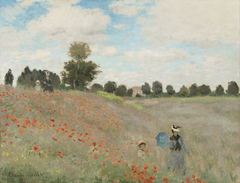 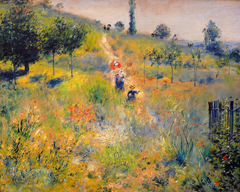 Like colleagues Edmund Tarbell and William Paxton, his purest Impressionist efforts are depictions of women and children in sun-drenched landscapes.